Poultry farming in India is a very profitable business. Poultry business require proper planning and management. If you want to start a poultry farm then this poultry farming guide for beginners will be helpful to you. Discover how to start poultry farming in India with minimum investment. Poultry is the method of raising various domestic birds like chicken, turkey, emu, ducks, geese, etc. for their eggs or meat. This has been practiced in India for such a long time that it has become an indispensable part of the farming and agriculture system. Since the 1950s poultry farming in India has changed tremendously. From being an unorganized and non-scientific system it has transformed itself to a more systematic, planned, scientific, commercial and organized farming practice. From being a backyard farming practice it is now full-fledged techno-commercial industry. Globally, India ranks third in the world in egg production and fifth in the world in chicken meat production. Although the production is mainly achieved through commercial means, the rural poultry sector also contributes significantly to the Indian poultry industry. It is looked upon as a reliable economic and nutritional source. Poultry farming are of different types such as duck rearing, rearing chicken, quails, turkey, emu, broiler, etc. However the principles and practices underlying are the same. For a successful poultry management the checklist includes proper site selection, site building, chalking the rearing plan, proper knowledge of using the equipment, procuring the various quality inputs from different resources, managing the day to day poultry affairs, constructing the houses and managing the timely marketing. The farm site must be away from the chaos and hustle-bustle of the city. It should be calm and pollution free environment. The farm must have adequate, clean and fresh drinking water sources nearby. Also the site must be free of poultry enemies and predators like foxes and leopards. The site must be easily accessible from main roads. In other words, transportation must be easy and not very difficult. The local markets must also be easily accessible. Poultry shelters are the next important factor after farm sites in poultry rearing. The shelters must be raised adequately to prevent the risk of flooding. It should be spacious enough to permit free movement and running of the birds. In addition the shelter must be adequately ventilated and protected from sunlight. It is advisable to construct the shelters in a south facing direction. In this way, the birds are not only protected from the harsh sunlight but also permit circulation of fresh, clean air. There should be adequate drainage facilities in the shelter. Also if there is more than one shelter then the distance between two of them must be at least 50 feet. This would ensure proper ventilation and non-accumulation of ammonia inside the shelters. The entrances in the shelter must be fastened properly. Also there should be fencing around the shelter to secure the birds. The shelter design however depends on the breed of poultry, type of production, etc. For commercial poultry production, good quality, highly nutritious food is a must. The rate of productivity in birds is very high. They very quickly convert their feed into food products. On a regular basis, they need about 38 nutrients in adequate amounts for their regular diet pattern. The feed can be given in different forms like crumbles, mash or pellets. Mash is the most economical, commonly used and easy to prepare feed. Pellets are prepared by subjecting the mash feed to heat treatment under pressure. As a result the pathogens in the feed are destroyed. This enables the birds to digest the feed and also minimize the wastage. Crumbles are the expensive form of feed wherein the pellets are broken down to granules. In addition to providing the birds with feed they must be given ample amount of clean and fresh drinking water. Broiler segment in poultry is one of the fastest growing segments in recent times. It is the tender, young meat of male or female chicken. It’s weight ranges from 40 grams to 1.5 Kg and it can be maximum six weeks old. India produces 2.47 million metric tonnes of broiler making it the fifth largest broiler producer in the world. This growth is mainly due to the interposition of the corporate sector that threw emphasis on scientific rearing of broilers. Owing to the considerable growth, farmers have access to high quality chicks, professional guidance, medicines and vaccines, sophisticated equipment, etc. Rearing period lasts up to maximum 6 weeks. Their feed conversion efficiency is very high which means the amount of feed needed for body weight gain is much lower. Demand for poultry meat is higher than compared to goat or sheep meat. The investment returns are faster since the rearing period is only 6 weeks. Broilers are reared commonly in cages resulting in cage weakness. Cages under dense conditions can result in lack of air circulation. Birds would suffer from fatty liver syndrome, leg problems, etc. Read our complete guidance on broiler chicken farming. Layer poultry means raising birds specifically for egg-laying purposes. In other words, special hen species are reared for commercial egg production. They start laying eggs once they are 18 weeks old and go on laying eggs till they are 78 weeks of age. During this period they produce 1 Kg of eggs for every 2.25 Kg of food consumed. Globally India is the third largest producer of eggs in the world. As per statistics, the current egg production is far below the ICMR recommended 180 eggs per capita annually. Read our guidance on poultry layer farming. Country chicken or free range chicken is rearing poultry breeds indigenous to India. In other words, they are local breed of chicken found in a particular geographical location. India is the fifth largest chicken producer of which commercial poultry breeds are a major harvest. However country chicken also makes significant contribution. The main advantage of country chicken is that the birds are comparatively more resistant to infections and have a better survival rate. They adapt to new surroundings easily. They have a good egg production capacity and the input cost is negligible. Read our article on country chicken farm project. Emu is a versatile bird that survives in almost all climates worldwide. They were introduced along with ostriches in India. However owing to its versatility it has garnered a lot of importance. One of the main reasons behind this is that it neither dependent on the monsoons nor by the uncertain market trends. Emu meat is used for making food preparations while emu oil is of medical significance. Quail farming is gaining popularity in past few years since they are very small birds extremely popular for their eggs and meat. Initial investment for quail rearing is very less as compared to other poultry. The same holds true for the maintenance as well. 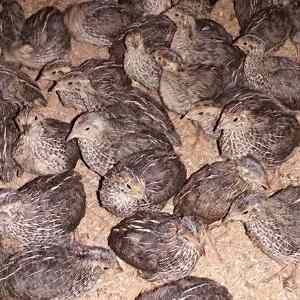 Quails are ready for marketing within 5 weeks of growing and rearing. In addition they require a very small floor space. They start laying eggs at 6-7 weeks of age and lay about 300 eggs a year. However there are some challenges in quail rearing too. The male quails produce a sound which is harmful for the human ear. If male and females are reared together, then it is likely that male quails would peck eyes of other male quails rendering them blind. Quails being protected species can be reared for commercial purposes after obtaining a license from the Department of Animal Husbandry. Turkey is the most popular of all foods during Christmas. It is however growing in popularity since the meat is very lean and diet-friendly. 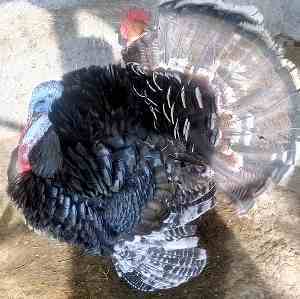 Unlike hens and quails, turkey is only reared for the meat. In India, turkey farming is still in infancy. Kerala and Tamil Nadu are the leading turkey producers in the country. Efforts are being put by other states for turkey farming as well. Ducks unlike other poultry birds have a difference in their growing habits and habitats. They are raised for their meat and eggs yet, they fall only partially under the poultry system. They are strong birds but they need water around them for mating and laying the eggs. They can feed on the agricultural waste produced at the farms. Hence they can be grown in the farms. More than 60% of the total diseases and pathogens in the world originate from animals- wild or domestic. Zoonotic pathogens are transmitted to humans via food or through direct contact between humans and animals. 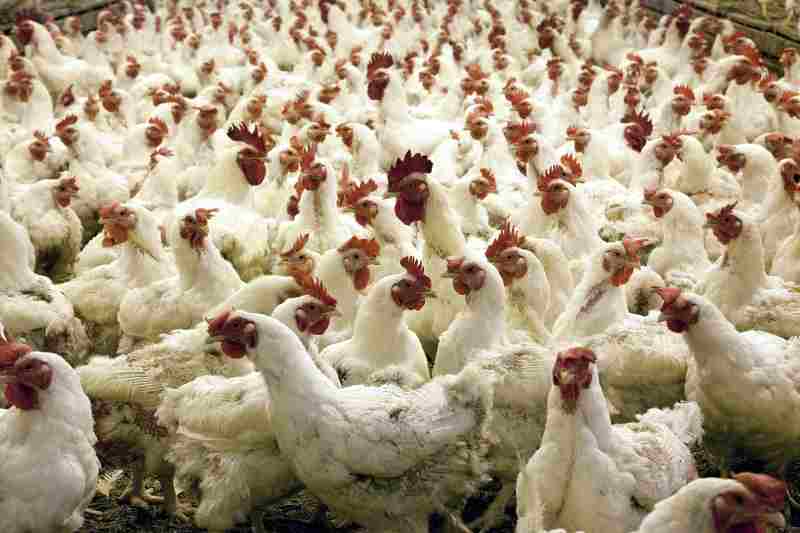 Diseases are the main threat to poultry farming. Farmers face severe losses due to spread of various poultry diseases. One of the best ways to prevent development and spread of diseases is to take good care of the birds. The shelters must be cleaned regularly. The water and food containers must be washed regularly. Precautions must be taken to not mix contaminated food with regular food. The birds must be regularly checked for development of disease symptoms. Vaccination schedules must be properly followed. If any infection is detected then the diseased bird must be immediately separated from other healthy birds to check the spread of infection. Poultry farming in India is a profitable business owing to many reasons. One of the chief reasons is that unlike agriculture, this is not dependent on rain, sunlight or other weather factors. The investment required here is lower. Initially it can be started with a very small flock of birds and then built up progressively. Since it is not weather and geographical conditions dependent there is always a promise of yield and returns. Poultry farming in India is good way to start agriculture since it require less space. The birds are capable of increasing the soil fertility which is an important factor for cultivation. In addition, the poultry waste is useful for organic agriculture and has demand in market. Want to start poultry farm so want complete information. If you are serious about your poultry project then contact us for professional consultancy service. I’m starting new poultry farm. Congratulation! 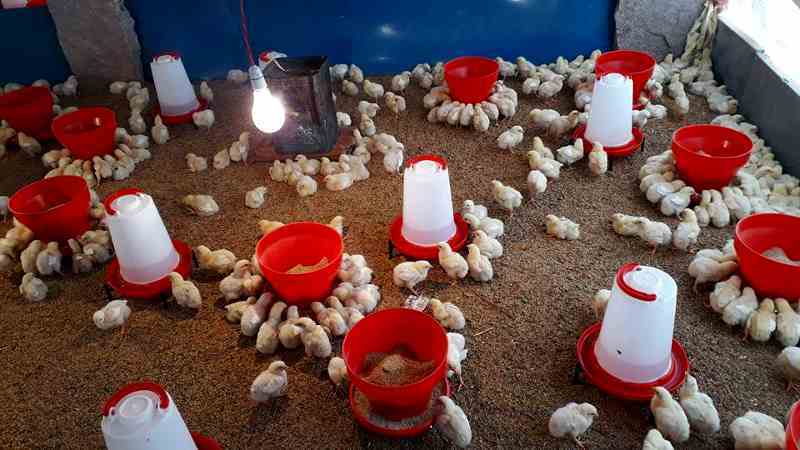 Poultry farming in a risky but profitable venture. I would like to open this poultry farming business in Punjab dist. Hoshiarpur. Please guide me from where I can get the training, project information. I have good land which is away from city in good atmosphere, pollution free. Right now I am working in Dubai in IT company, Now I took decision to come back to home land to open this business. Poultry farming is a very profitable business. Please talk with our experts to get professional consultancy service on poultry farming.